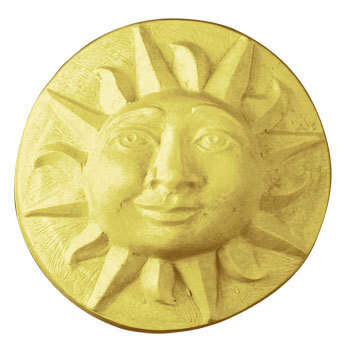 Our Sun Face soap mold is based on Sol de Mayo, the national emblem of both Argentina and Uruguay. Sol de Mayo, in turn, was based on designs in Old World heraldry. The alternating straight and wavy lines are meant to represent light and heat. We think it's perfect for Summer Solstice celebrations!